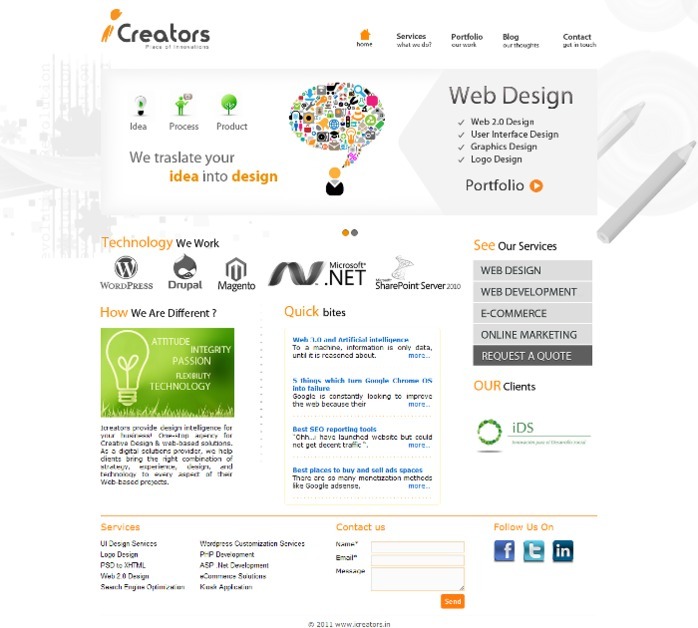 Icreators provide design intelligence for your business! One-stop agency for Creative Design & web-based solutions. As a digital solutions provider, we help clients bring the right combination of strategy, experience, design, and technology to every aspect of their Web-based projects. Company website new design based on web 2.0 design concept.